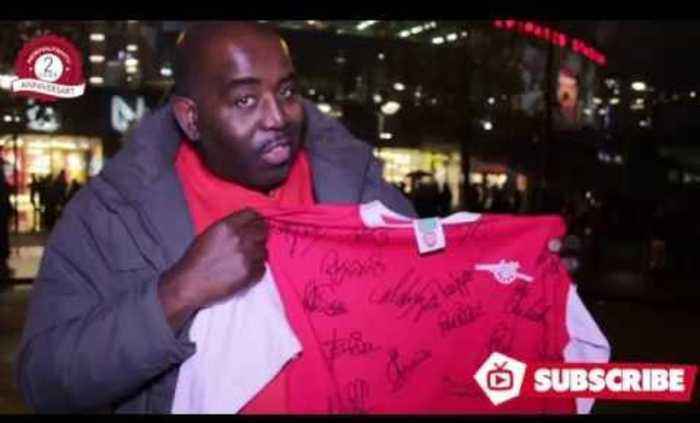 FOR A CHANCE TO WIN THE SIGNED SHIRT SIGN YOUR TEAM UP NOW: FOOTBALLFANAGER: http://goo.gl/ZzqR8h Arsenal FanTV have teamed up with FootballFanager.com to offer all Gooners the chance to win a signed 1988/1989 Arsenal Shirt. The shirt has been signed by players like Tony Adams, Lee Dixon, Alan Smith, David O’Leary, George Graham and Paul Merson to mention a few. To win all you have to do is enter the Free Two-day only Fantasy Football competition. Enter the competition by making your fantasy football team. In essence, the format of the game is very similar to the standard Fantasy Premier League that the majority of us fantasy football maestro’s play, but this one is much shorter and much simpler. The league will start when 12.45pm when Arsenal kick off against West Brom on Saturday 29th November and ends after the final Premier League game at 4pm on Sunday 30th November when Spurs play Everton. You have a budget of £250 million to pick 11 players for your team, with transfer values based on real market values fees, instead of made-up transfer values with no meaning. Your selected players then score points for goals, assists, clean sheets and lose points for receiving cards, conceding goals (defenders and goalkeepers only) etc. You will also have a captain pick that will score you double points. You can change your captain every day that there are fixtures playing; giving you the chance to double up on one player, every day, with the points you earned the previous day carrying over. The league is completely FREE to join and will commence 15 minutes before kick-off of the first Premier League game on the Saturday, 29th November 2014 (West Brom v Arsenal) — kick-off 12:45pm), ending after the last game of the weekend on Sunday 30th 2014 (Spurs v Everon — 4pm). This means there are a total of 10 games in which players can contribute points to your teams tally. With this in mind, managers can NOT make transfers or have access to substitutes, as you’re only submitting an XI man squad for the two-day league, so, study the fixtures and decide who you think will be the top scoring 11 players from the weekend’s Premier League action. 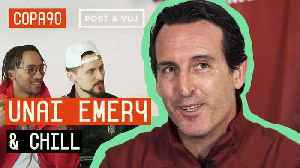 To get involved in this fantastic opportunity to win a Arsenal Vintage Signed shirt and prove your Premier League and fantasy football knowledge. It couldn’t be easier to enter a team – simply click the banner below –create a FREE FootballFanager account – when prompted to join a league, click the ‘ArsenalFan TV’ league name and submit a team! Please note that there are only 1000 places in total available so, be quick! The league winner will be announced on Monday, 1st December via the@FootballFanager Twitter feed. Arsenal Legend David Seaman On Alexis, Cech, Ospina, Wenger & Much More Play SpottoCash With a chance to win £10,000 and Win a Signed David Seaman signed shirt here: https://goo.gl/VHbaJW You must..
We Out Dortmund, Borussia Dortmund!!! - Arsenal 2 Borussia Dortmund 0 To win signed shirt go to FOOTBALLFANAGER: http://goo.gl/ZzqR8h DONATE TO MOVEMBER: http://goo.gl/0qTjli AFTV ONLINE SHOP..